They kindly say “me pow chow” (“please”) before every sentence, and “me da se” (“thank you”) after they finish talking, no matter what the context. Amidst the chaos and confusion, within so much poverty and hardship, and in a never-ending struggle for a healthier life given the risks of numerous infectious and tropical diseases, they –the Ghanaian– often smile. 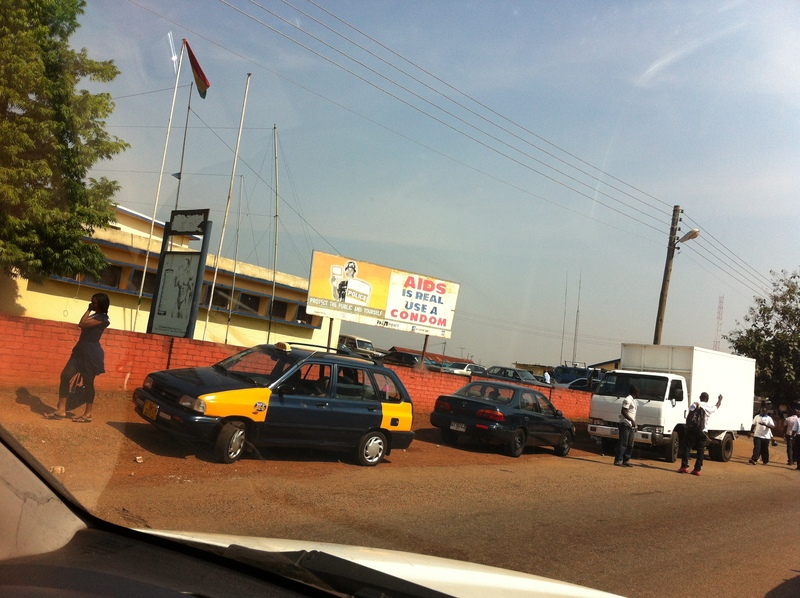 It has been seven months that I live in Ghana, Africa. It has been seven months that I am out of my comfort zone, my big urban bubble, and away from all the bits and pieces of easy life, which I realize now that I have taken so much for granted. Here, on this strange land of so many gentle, faithful, emotional people, I am the Obruni, the white person, the foreigner, the one from faraway lands. Surrounded with the Obibini, the black men. I try to adapt, understand, and savor this great experience. Me ho ye! I am happy! The Sun is huge; I have never seen it like this before! It seems as if the universe has unfolded into an orange, red and yellow curve, heating up the tall eucalyptus trees, the red soil, and the shabby little wooden huts alongside the main streets. Strange-looking lizards stroll around and butterflies hover close to the ground, all of which are quite larger and much more colorful than any of what I had seen in my past. Sometimes, there are so many birds up above that the sky turns gray, and I predict it is about the rain. But, it doesn’t! Yet when it rains, it is like the whole galaxy is about to crash on us; the raindrops hit the leaves so powerfully that the branches lean down and water pours down from the trees, hosing away the dust, the dirt, the sand. The rain comes and goes – so fast! The whole city of Accra has gutters alongside the roads, and the water streams away. In a minute or two, it seems as if it has never rained. All dry; all hot; all sandy! The meeting of the new and the old worlds has never been so graphic. 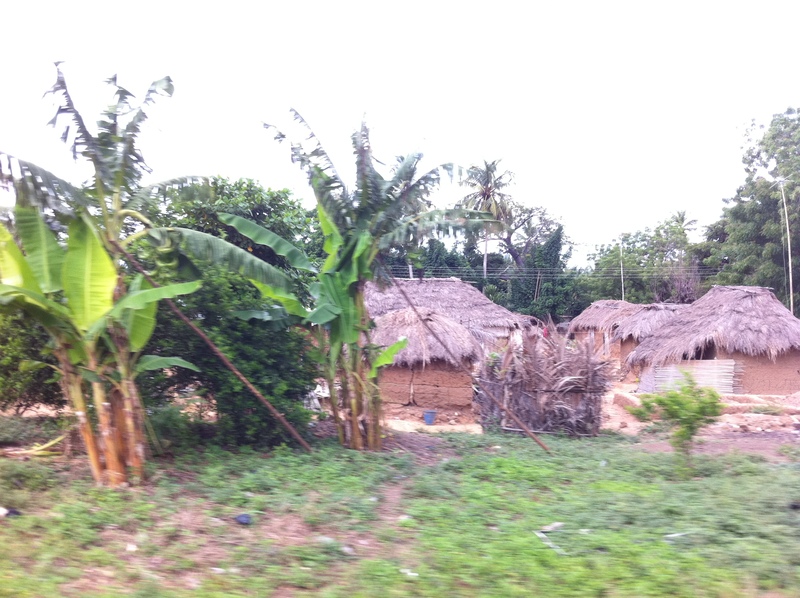 The straw huts where women usually pound plantains to make Fufu, a traditional dish, and men work on wood or raw metal to make furniture are only meters away from the new, super-modern shopping malls. Apartment compounds with ten floors, with steel elevators and gym halls shade the red soil paths, where bare-footed, little children can be hunting for food from garbage cans. In Africa, you quickly learn that alligators are not to mess with. 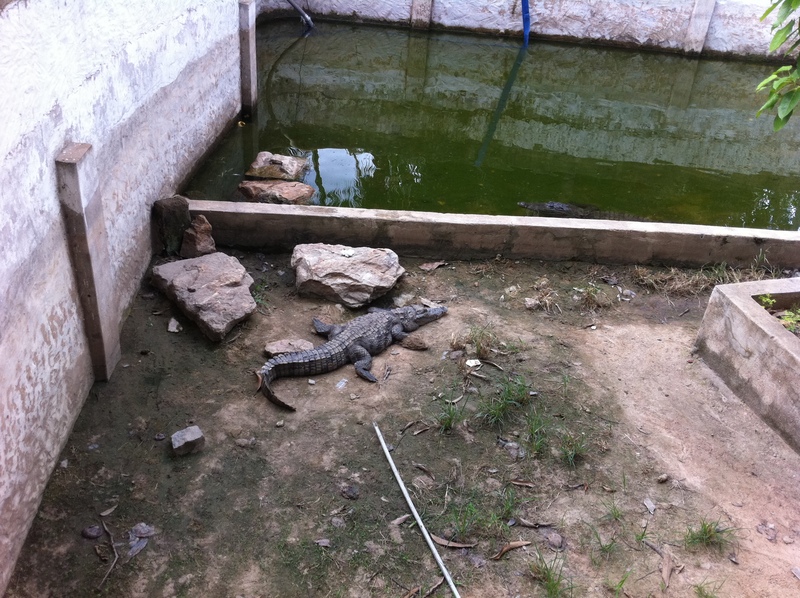 One can spot several alligators in the pond very close to a luxurious beach resort by the Volta. “There is a new Sushi place in town,” says one of my new friends, while we are driving to the Cape Coast. At that moment, it is very hard to imagine myself eating Unagi rolls at an expensive Japanese restaurant nearby, since all I see around me is unearthed nature, colossal trees, and villages that reflect a level of poverty beyond all imagination. Five-star hotels, yacht clubs, luxurious villas, expensive cars, brand boutiques here and there; broken metal pieces and straps of nylon transformed into four square meter shops, beggars, piles of second-hand clothes on the dirty roads of the marketplaces… Sometimes I wonder how such discrepancy can co-exist under the same sky. Yes, AIDS is very real, indeed. 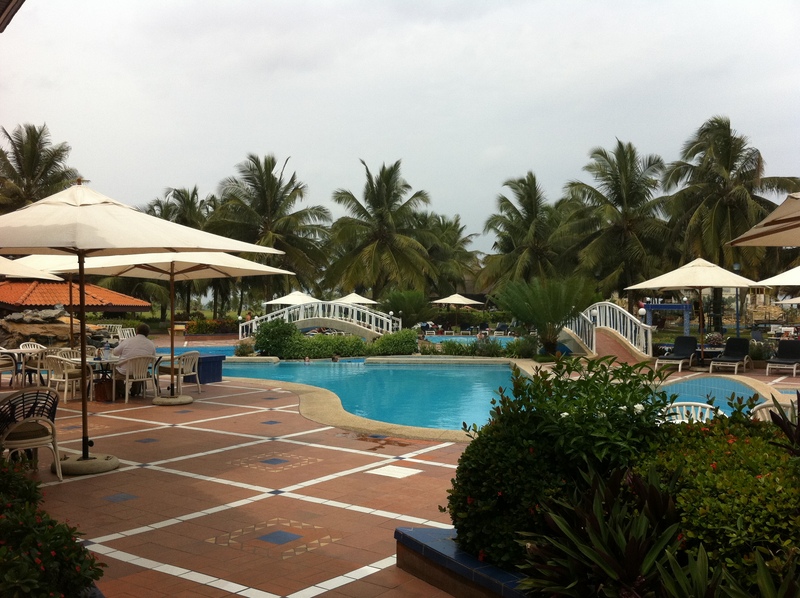 Pools and country clubs are the sine qua non of the expat life in Africa. The Ghanaian “lazy chair,” in all its glory. The lazy chair – that is exactly how they call it! 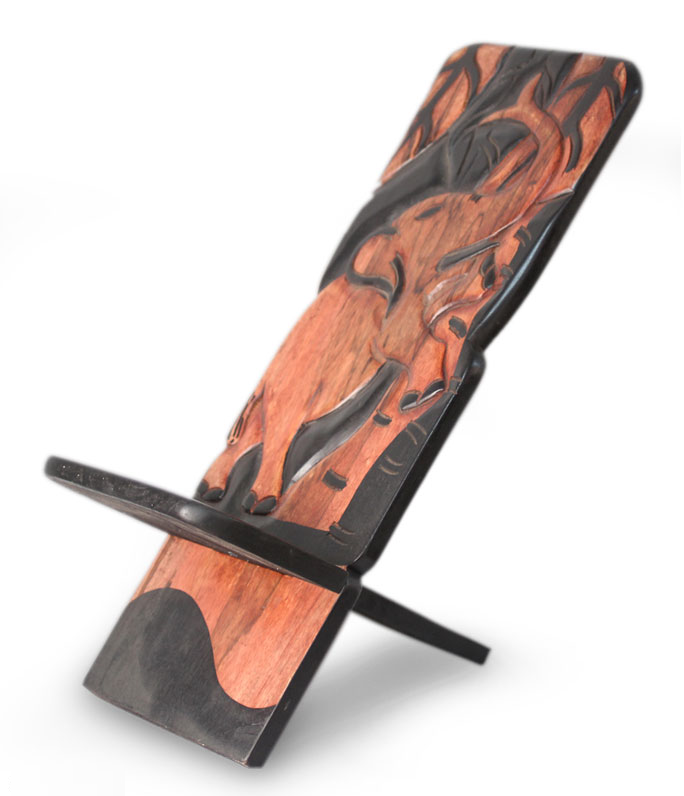 It is made of carved wood, very similar in shape to a beach chair, yet much shorter in height. There is no one that can stop himself from falling asleep on it, especially if it is under the sun. I drive around. I see men dozing off on those chairs, in the bushes, alongside the roads. The women: well, that’s another story… Lean, slender, strong! They carry huge baskets, boxes, plastic containers on their heads, trying to sell things on the road, particularly where the traffic is jammed. Most of them have babies tucked to their bodies with a piece of cotton cloth, tied around tightly. Those women have it really difficult. Many have become mothers by the age of fifteen. They look old and tired inside young bodies. Gospel is the “thing” of the city. On Sunday mornings, everything starts to change. 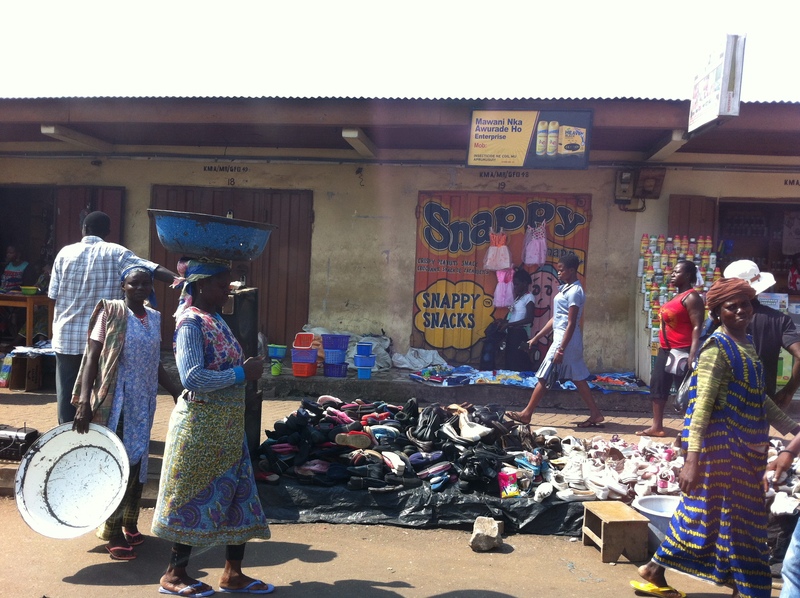 The joyful sounds of Hallelujah ooze onto the streets from every church, and one can see the Ghanaians, all dressed up – rich and poor – with beautiful, colorful, long clothes and hats. Families walk hand in hand, heading to their temples to pray for health, wealth and love. Faith is their strength, against all odds in their lives, and it is with faith that they conquer the will to survive and develop. It is 7.30 p.m., and the dance floor is already packed. “Akwaaba!” (“Welcome!”) says the maître d’ at the door to the festival hall. She is in full make up and high heels. The boisterousness of the organization makes me to think that this must be a wedding. Yet I see several Ghanaians shaking hands with the hosting family members and whispering their condolences. To my amazement, here on this land, I understand that a funeral service is actually in the form of a party, where people feast on food and drinks, dance and laugh, and celebrate the afterlife. In no other place on Earth have I seen life and death so harmoniously intertwined. In Africa, one witnesses an inexplicable harmony among utterly incompatible concepts. As much as one clearly feels the underdeveloped nature of Africa almost everywhere; in Ghana in particular, one also has the availability to sip a chilled glass of great wine by the pool, play golf, listen to perfect Jazz at a bar, or go yachting on the Volta. The amount of international schools is striking; the economy is booming; there is construction in almost every corner; and the streets are filled with cars, those that are worth tens and thousands of dollars, waiting in the same red light side by side with those that seem to be from the 1950s, spreading around black smoke, falling apart, and cracking at every turn. Dirty, smoky, dusty, old, and shabby seem to define all that one sees just around the corner of clean, clear, bright, new, and modern. While the “bushes” are full of illiterate, highly conservative, local residents, the new “big city” generation is studying at colleges, traveling abroad, logging on the Internet, learning foreign languages, and connecting to the greater world. One wonders about the future of the young Ghanaians, and how the sub-Saharan Africa in general will shape up. Perhaps, the progress that was pursued for so long is happening sooner than anticipated. 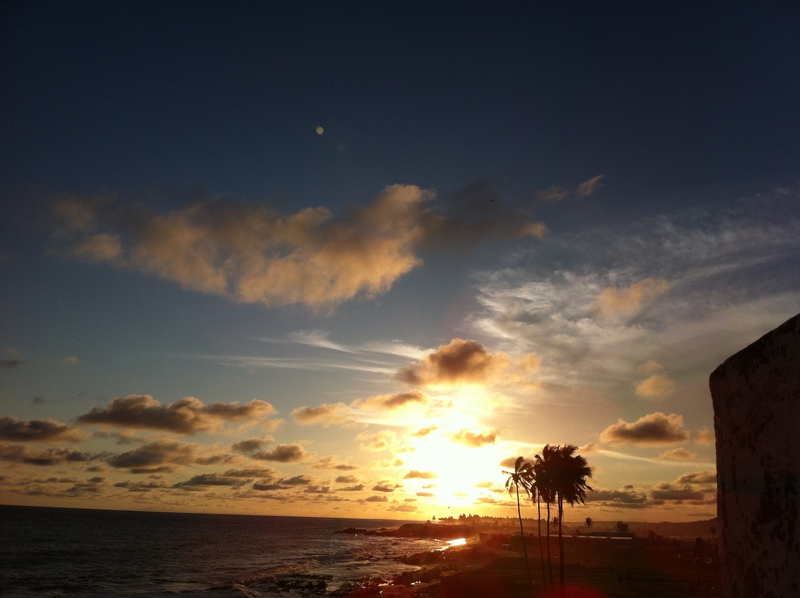 Every day another beautiful sunset over the Atlantic. Me da se! – Thank you! Esin Yagel is a clinical psychologist, life coach, and novelist. She has lived in Istanbul, Turkey and Tel Aviv, Israel, and currently resides in Accra, Ghana.